Registration is open for the 30th annual Internal Medicine Update Course for physicians, to be held from 8 a.m. to 4:30 p.m. May 1-3 at Northeast Ohio Medical University (NEOMED). 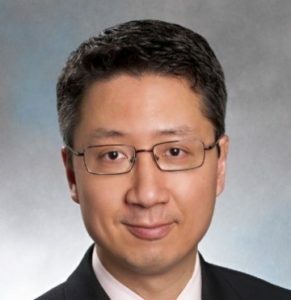 This year’s featured Harvey Lecture speaker is Raymond Y. Kwong, M.D., MPH, the director of cardiac magnetic resonance imaging (MRI) at Brigham and Women’s Hospital in Boston. A cardiovascular medicine specialist, Dr. Kwong is also an associate professor of medicine at Harvard Medical School. His topic will be Cardiology: The Next 30 Years. The conference’s goal is to provide insights about the future of medicine and how medical practices are likely to evolve in the coming years – preparing learners to recognize and understand advances in care and to be more prepared to address patient and provider needs. The curriculum will include sessions from the specialties of internal medicine, including oral health. A variety of educational formats will be used, including lectures, two half-days of interactive small group discussions, and question- and- answer sessions. All sessions will be held at the Grand Ballroom on the second floor of the NEOMED Education and Wellness (NEW) Center. NEOMED designates this live activity for a maximum of 19.50 AMA PRA Category 1 Credits™. Physicians should claim only the credit commensurate with the extent of their participation in the activity. An application for CME Credit has been filed with the American Academy of Family Physicians. Determination of credit is pending. the conference. Certificates will be available 24 hours after each daily session and can be accessed on the Eeds online management system. Pre-registration and pre-payment are required. The conference registration fee includes continental breakfast, breaks, lunch, parking and an online syllabus. Lecture materials are available one of two ways: online or printed. Printed materials are available for a small fee of $15. Please note, you must indicate when registering if you desire printed materials. The registration deadline is April 24. For registrations received between April 25 and May 3, late fees will apply. If you need special accommodations for a disability, please notify the Department of Internal Medicine at 330.325.6458 no later than April 25. For more information contact NEOMED’s Department of Internal Medicine at 330.325.6458 or mkshipp@neomed.edu. For detailed directions, visit neomed.edu/map.